Are you looking for a powerful performance sedan? If you are, the 2018 Dodge Charger Hellcat is a superior choice. It is a popular model at our dealership because it comes packed with innovative features that provide drivers and passengers with comfort, convenience, and more. If you are looking for the 2018 Dodge Charger SRT Hellcat on Long Island NY, visit us today! To give you a better understanding of what the 2018 model has to offer, we have provided information about its interior, exterior, mechanical specs, powertrain, and safety features below. The 2018 model comes with a color lineup that includes: TorRed, Yellow Jacket, Octane Red, Granite, Maximum Steel, IndiGo Blue, White Knuckle, F8 Green, Destroyer Grey, Billet, and Go Mango. The exterior styling features scalloped bodysides, a crosshair grille, and a contemporary, chiseled look that is sure to grab attention. The exterior also comes with a double power bulge hood, a flying buttress, and seamless LED racetrack tail-lamps. 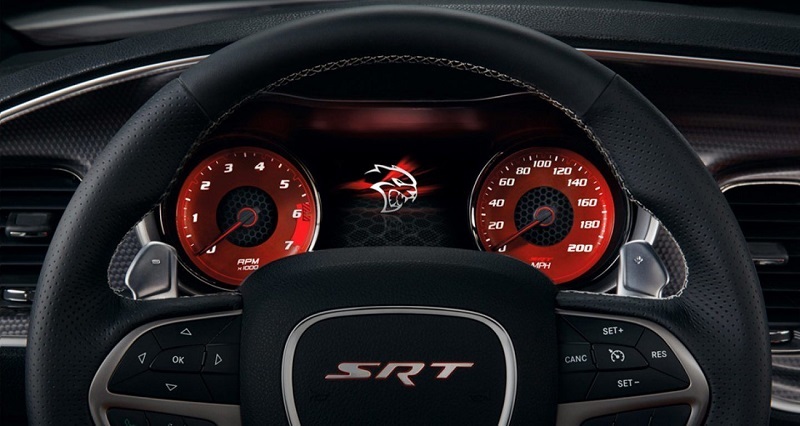 The SRT Hellcat also includes a functional hood scoop design with dual air extractors that keep the engine compartment cool. Other exterior features that are offered with the 2018 model are heated mirrors, a cap-less fuel filler, and puddle lamps that are housed on the bottom of the exterior mirrors. 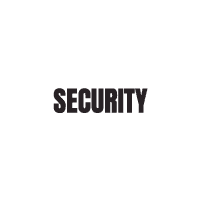 Visit us at Security Dodge serving Long Island Westbury Massapequa Amityville NY to find out more about the SRT. We offer test drives for the 2018 Dodge Charger SRT Hellcat on Long Island NY. The interior of the 2018 model comes with an available leather wrapped steering wheel to enhances comfort. With this feature, you can set the heated steering wheel to activate when the temperature is below 40°F. You can also opt for heated and ventilated front seats that have fans inside the seats to help cabin air flow throughout the vehicle. The cabin also comes with an aluminum-lithograph instrument panel and a 7-inch driver information cluster display that can be adjusted to your preference. There is also an available 8.4-inch touchscreen that is paired with the Uconnect 4C infotainment system that provides you with voice recognition and more. The Dual-Zone Automatic Temperature Control (ATC) can let you and the front seat passenger customize temperature levels so everyone in the car is comfortable. The 2018 model offers electric power steering that allows drivers to select from three driving modes, which include Sport, Comfort, and Normal. In addition, the optional steering wheel-mounted paddle shifters enable drivers to easily shift gears without having to take their hands of of the wheel. The innovative AWD system comes with front axel disconnect and enables more control when driving in harsh weather conditions. Another mechanical feature offered with the 2018 Hellcat is All-Speed Traction Control that helps drivers maintain stability and traction by using brake pressure to prevent the wheels from slipping. This feature can also reduce engine power when needed to help the tires regain stability. In the 2018 Hellcat, you are provided with a supercharged 6.2L HEMI V8 engine that can produce an impressive 707 horsepower with 650 pounds-per-feet of torque. The engine is paired with a TorqueFlite eight-speed automatic transmission that provides you with optimal precision. Our authorized dealership on Long Island NY can provide you with further details about the powertrain that is featured with the 2018 Dodge Charger SRT Hellcat. The 2018 model comes packed with safety features that provide drivers and passengers with ample protection. A standard ParkView Rear Back Up Camera and the standard ParkSense Rear Park Assist System can let you know when an object in in your rear path when you are reverse. Another notable safety feature that comes with the new model is Full-Speed Forward Collision Warning with Active Braking. This system monitors the distance between the Hellcat and the vehicle ahead. If a possible forward impact is detected, it will activate the Advanced Brake Assist to help prevent impact. Adaptive Cruise Control is also offered with the 2018 model. This safety feature can automatically modify the set cruise speed to help you maintain a safe distance from the car ahead by engaging throttle control and brakes. Other available safety features include LaneSense Lane Departure Warning with Lane Keep Assist, a Blind Spot Monitoring System, and automatic high-beam headlights. The active front head restraints can help keep you safe during a rear-end collisions, and there are also airbags located throughout the cabin that include: advanced multistage front airbags, front seat-mounted side pelvic-thoracic airbags, a driver side knee blocker airbag, and full-length side-curtain airbags. In addition, the 2018 model was built on a solid safety frame that includes high-strength steel as well as superior roof strength for outstanding protection. 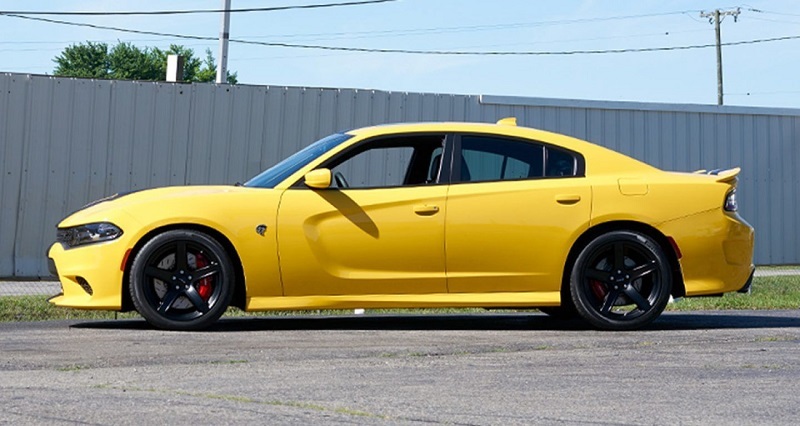 To take the 2018 Dodge Charger SRT Hellcat for a test drive, we welcome you to stop by Security Dodge on Long Island NY. We offer the 2018 Dodge Charger SRT Hellcat on Long Island NY. The 2018 Charger Hellcat is a top choice among consumers because of all it has to offer. Are you ready to check it out? If you are, our authorized Dodge dealership serving Long Island Westbury Massapequa Amityville NY can help get you behind the wheel of the SRT. To find out more information about the the innovative features that come with the 2018 Dodge Charger SRT Hellcat, visit us at Security Dodge serving Long Island Westbury Massapequa Amityville NY. 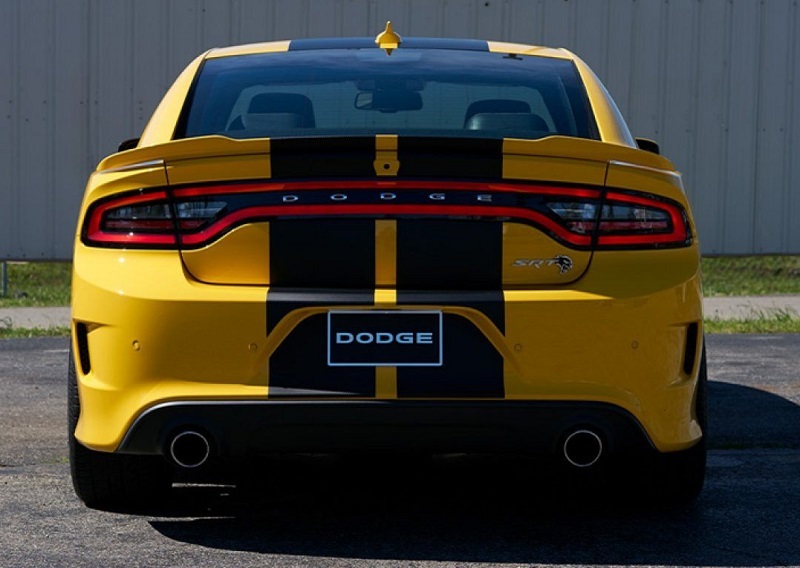 We are an authorized Dodge dealership on Long Island NY.